Apple’s strength used to be first to market with a new technology, gain massive market share then lose a bunch of that to copiers. Coming from behind with a much more expensive solution is not Apple’s strengths. Apple has lost the home to Alexa and other home automation companies like Wink. Simply because people did’n’t want to wait that long for a solution that had less more expensive options. Am I going to dump 1000’s of dollars in home automation just to get Apple’s version and use Siri? Certainly not. Wisely Alexa is integrated with most systems already. There only hope is to integrate with other companies now. I love Siri, but she gets destroyed by Google on my phone, with better answers. I’d use google all the time but it can’t integrate with my phone functions. 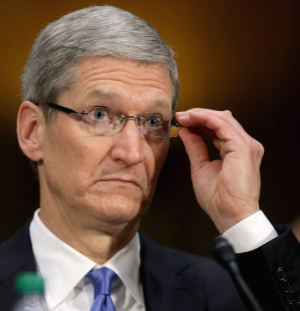 Tim Cook is destroying Apple on stab wound at a time. He’s too busy on his social causes. There used to be more to Apple then iphones. fat, lazy, too-cool-for-work, too busy going to basketball games and acting up, uncaring, stupid, arrogant, lacking vision. I have to admit, it would be hard for me to keep an edge if I were making millions, everyone loved and admired me, everyone told me that I was so smart and made all the best products, etc. But that is what Apple has to do. They can take pride in their work but need to always feel they are behind the 8-ball and losing the game. Sounds like Bezo’s idea of constantly keeping a company in ‘start-up’ mode (high growth). Don’t be surprised if Apple calls Home Pod an insecure and unnecessary bit of gear, and Apple is moving on….to produce more and better talking turd emojis. Maybe even be able to turn the Animoji head completely around to view all sides. Apple really needs to get their collective $h!t in gear in regards to Siri, AppleTV and the ‘smart home’. Here in Japan…. at Costco, on TV and other places ‘smart home’ speakers and so on are being pushed like crazy with no pushback from Apple to be seen. Even CarPlay seems to be ignored here….